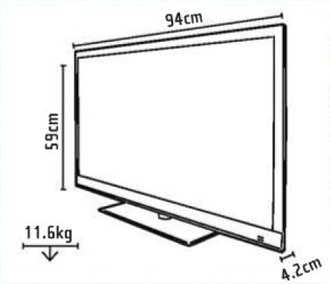 On paper the KDL-40HX723 looks like a real contender. 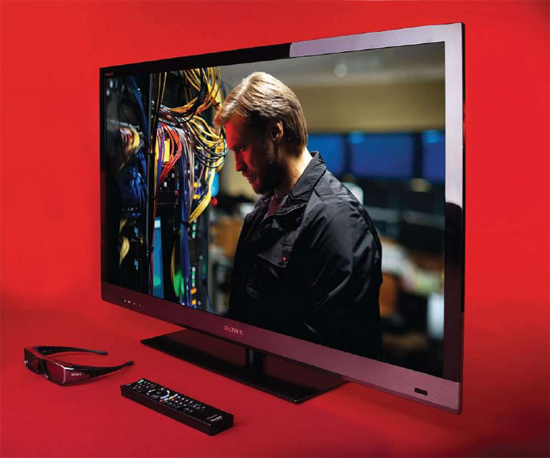 It's elegant, with a spec hat includes a dazzling array of smart TV and 3D options, Sony's Motionflow XR400 motion processing and a stack of useful network features. But fire the Sony up and you'll find this TV's image suffers from inconsistent backlighting, no matter how much you play with its brightness and contrast settings. If you manage to settle on a configuration that satisfies, the KDL-40HX723's image is exemplary. A crisp Freeview HD tuner, beautifully smooth motion-handling, terrific detail and assured up-scaling make it a joy. But switch to 3D, and despite a refreshing absence of crosstalk and other picture nasties, the set ramps up the brightness to 'cut through' the darkening effect of the 3D glasses, and the backlight inconsistency rears its head again. A shrill and uncomfortably hard sound doesn't help matters, either. 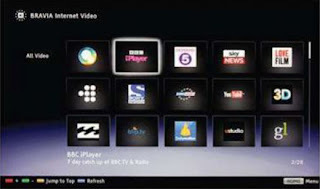 It's dreadful shame, because in smart TV terms, the Sony can more than hold its own. Its iPlayer, Lovefilm and Video Unlimited services work well; add a Skype camera, and it'll cater for free video calls too. The slim chassis reflects an equally light weight sound. Sony's SA-40SE1 soundbar, designed for the TV, is a good investment if you don't have an alternative sound system. Sony's Video Unlimited HD streaming is unbeatable for quality. It's exceptionally consistent and sharp, although bandwidth-intensive: you'll need 4Mbps broadband to ensure buffer-free viewing. The Sony's all about optional extras: $126 for a Skype camera, $79 for a Wi-Fi dongle, at least $79 per pair of 3D specs... it all mounts up. Fit this set out for a family of four and it might cost $520 more than the price shown here. Sony's Bravia Internet Video portal works well, although its Xross Media Bar interface looks a little dated. There's on-demand streaming for LoveFilm, iPlayer and Demand 5 but (oddly) not ITV Player or 4oD. The jewels in the crown are Sony's Video and Music Unlimited platforms, which offer choice and considerable quality. Sony KDL-40HX723 3D LED is very nice to see. This is a great television; I think it would look great in my living room to replace my old standard definition television. I am in the midst of replacing all three of my televisions, since I upgraded to the Hopper DVR from Dish that extends a high definition signal to all the televisions I should take advantage of it. When I saw this television in the store last week I was shocked with the picture quality, and I figured that it will be good using the picture in picture a coworker at Dish told me is included on the Hopper. Now I can watch the Broncos game, and the NFL Redzone at the same time and never miss a play, and see a picture that is out of this world.